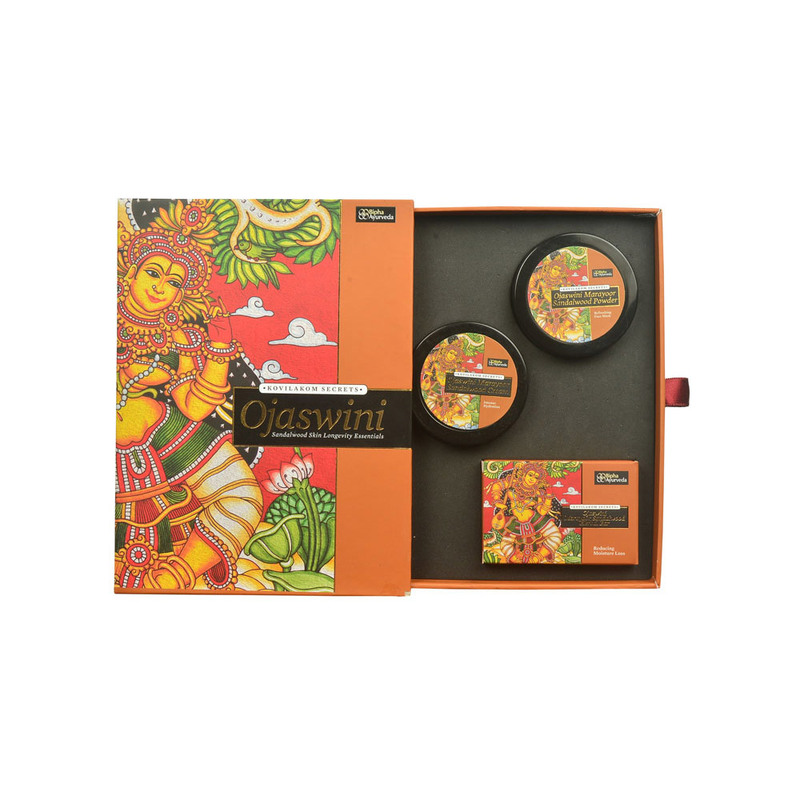 Ojaswini Marayoor Sandalwood Cream :- A daily hydration cream that is fortified with pure sandalwood powder and sandalwood essential oil blended in kokum butter, this cream pampers and plumps the skin. It wraps your skin in a moisture lock, to protect it from skin dryness and wrinkles. Ingredients :-Santalum album Oil, Virgin Coconut Oil, Jojoba Oil, Almond Oil, Lavender Oil, Vetiver Oil, Vitamin E,Â Geranium Oil. Ojaswini Marayoor Sandalwood Herbal Bar :- A luxurious soap infused with pure sandalwood powder and essential oil that revitalizes your skin and leaves it sensuously soft and fragrant. Ingredients :-Sandalwood powder, Coconut oil,pure essential oil of sandalwood in permitted soap base.